It’s that time again. The kids are going to be home all day and your housework is about to triple. Depending on your household chores policy, this could be a good thing. They have more time on their hands now so that they can help you around the house. But even if they’re active with household tasks (and not many modern kids are), your work is likely to pile up. Why? Because your domestic traffic has increased. More people in the house means more random bits of clothing lying around, more dishes being used, more cushions and books out of place, and more shoes being left in unexpected spaces. If you can get the kids to pick up after themselves, that’s a huge weight off your mind. If you can enlist their assistance with dishes or vacuuming, even better. You’re likely to have a fortnight filled with love, laughter, and yelling ‘shut the front door!’ Are you ready for it? Talk to anyone that outsources domestic cleaning in Canberra. They might only come in once a week, but it’s way easier to keep the house tidy between visits. Houseproud offers top-to-bottom cleaning, including ovens, carpets, and exterior walls. 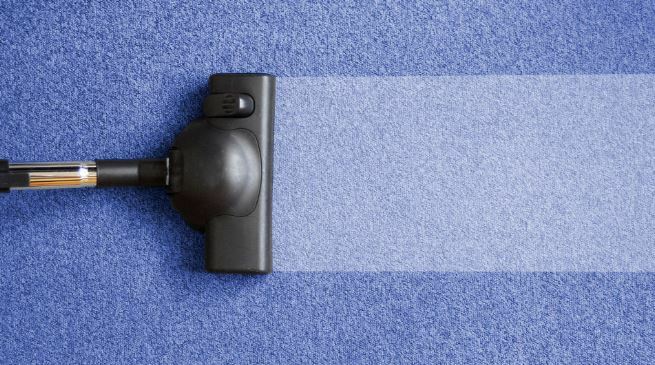 We can do a smaller segment of the house if you prefer, but we recommend and pre-holiday clean so you can remember what your carpet looks like. With a house full of heart-warming kids, it may be a while before you see that floor again. It will probably be hidden under homework, toys, and rug-loving video-gaming bodies. It could also be a good time to review house rules. Your kids’ friends will come over a lot, especially if you’re that parent. Which parent? Every group of kids has one parent who won’t brook a noisy, messy house, so their friends don’t come over a lot. And they have another parent that’s gentler and warmer and embraces the warm energy of youth. It might because you genuinely love youngsters, or maybe you just like knowing where your kids (and their friends are). So before they take over your home, call us for some pre-game chores. When school is in session, you probably have one meal a day. The kids (and their parents) eat at school/work so the main family meal is dinner. But over holidays, you have snacking primary kids and growth spurting teens. You have to feed their friends too, so prepare to double your food budget. Think of it as a safety net – if they’re not eating in the house, they’re out at malls, clubs, and potentially questionable places, so just grin and fill the fridge. It could also be helpful to keep them occupied. You could sign them up for scheduled activities like music classes or sports. Some organisations have holiday programmes like coding camps or hobby-based workshops. Alternatively, sign them up for a community centre where they can indulge in multiple activities. These venues often offer movies, studios, gaming rooms, gyms, dance, band, and more. Look for one with activities your kids are already interested in. They’ll be more invested than having to try something unfamiliar.